Until you know the Facts! Check out just a few misconceptions below…. No, you don’t always need 20% down! 44% put down LESS than 10! 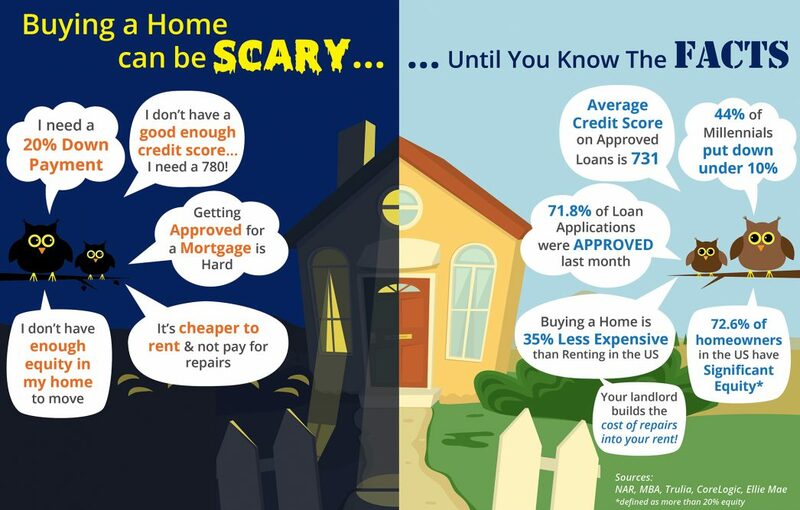 Most loan applications ARE approved – nearly 72%! It is NOT cheaper to rent. Buying a home is 35% less expensive than renting! You also may have more equity than you think. Nearly 73% of homeowners have SIGNIFICANT equity! Ask for our help and we’ll let you know what YOUR numbers look like! 770-726-1454 – Ask for Mike or Jon!